Steve Jobs has admitted Apple's new handsets are dropping more calls than its predecessor. At an impromptu press conference, Apple has taken the extraordinary step to offer free cases to all users to alleviate the reception issues plaguing the iPhone 4. However, during the course of his presentation, Jobs admitted that the iPhone 4 dropped more calls than the 3GS, albeit less than 1 per 100 more. "This is hard data... the iPhone 4 drops less than one additional call per 100 than the 3GS. Less than one." 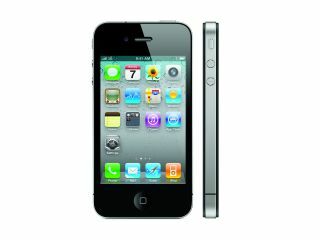 "Even though we think the iPhone 4 is superior to the 3GS antenna... it drops more calls per 100 than the 3GS. We're being transparent. So how many more does it drop than the 3GS? Still, it's odd that issue has come to light now - reviews of the iPhone 4 have shown that the device seems to drop fewer calls, so Apple coming out to say it's being 'transparent' is weird. But given the inevitable media fallout regarding the case issue, this is probably the least of Jobs' worries, so Apple might as well mention it now.